There is a reason why most people favor concrete driveways. It’s not only because of their low maintenance and strength but also for their durability. When making a concrete driveway, one key process is floating concrete. 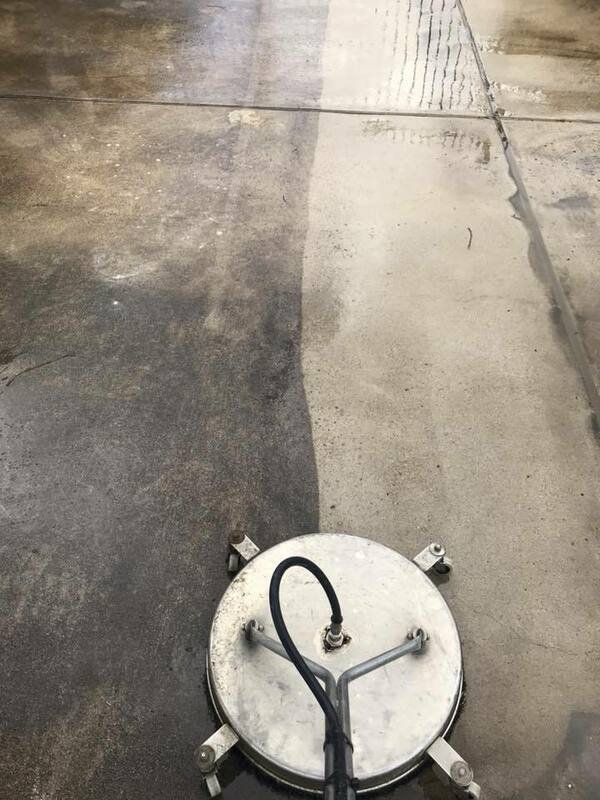 This only happens after the concrete has been poured and then smoothed. Floating concrete is the process of smoothing the driveway’s surface by bringing the finer materials close to the surface. It is mostly done using a bull float or darbies. Bull floats are used for lager surfaces while darbies are typically deserved for small areas. Floating is normally done after strike off but before the appearance of bleed water. Once the installation process of making a concrete driveway is done, the finishing process comes next. This process is extremely crucial as it determines how long the driveway will last and its overall quality. It is for this reason that no shortcuts should be taken during the finishing process. A well finished driveway from well established concrete contractors has the ability to last even 30 years. First, you should strike off or screed the excess concrete to the right level of elevation. You should then float the concrete before the accumulation of bleed water. 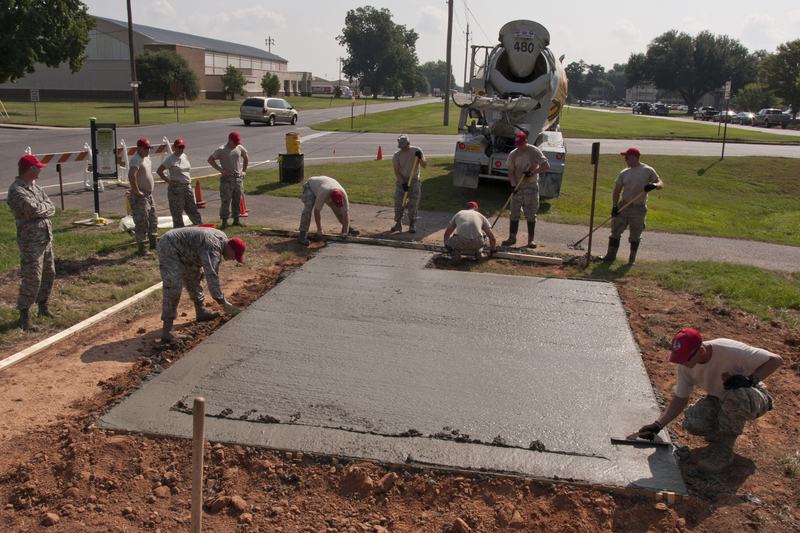 Floating concrete on driveways is a craft that requires considerable expertise. Excessive floating results in a weakened surface that is prone to flaking. On the other hand, insufficient floating leaves the slab with a rough feel and a look that is more industrial. Floating concrete results in a smoother and more attractive driveway the determining factor of how much floating should be done is the required smoothness. Smoother driveways require a bit more floating than regular ones. After screening, the concrete is left with uneven high and low spots. Through floating, these spots are eliminated and the aggregate particles from the strike off are embedded into the concrete. This tends to give the driveway a more uniform look that is aesthetically pleasing and great for your car. Floating the concrete also helps in compacting the mortar in preparation for finishing additions. Once the concrete has been jointed, it leaves behind voids and humps. Floating the concrete ensures theses imperfections are evened out. When combined with steel troweling, floating helps to achieve a smooth surface that is both hard and dense. Steel troweling should only be done after sufficient floating has been done. It may have to be combined with additional finishing processes to achieve a surface that is slip-resistant. What happens when the concrete is not floated? Failure to float the concrete may lead to an uneven surface that may cause skidding and ultimately result in accidents. It may also lead to the cement’s surface sealing prematurely, thus resulting in a low quality driveway. Aesthetically, a floated driveway is more attractive than one which has not been floated. Lack of floating leads to a driveway that looks industrial and is rough. This may lead to depreciation of cars passing through it. For a smooth, attractive driveway, it is advisable that one floats the concrete when making a concrete driveway. This will ensure it lasts longer and is of good quality.